Marker colors: Pink, green etc. 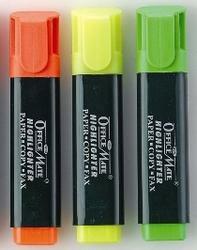 Relying on our expertise in this domain, we are into offering Highlighter Marker. 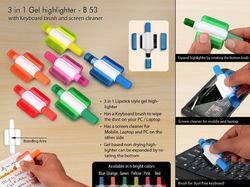 3 In 1 Highlighter Marker Looks great on every desk, works great for everyone. Three bright highlight colors. Note: We only Deals in Bulk. We are looking Mostly Corporate Orders.